For students of all abilities to develop excellent English literacy skills. For desktop, laptop, tablet and mobile devices. Suitable for all abilities and learner types. Curriculum aligned for all key literacy skills. Gamified to be interactive, challenging and motivating. Proven to improve learning outcomes and boost Secondary results by up to 7%. "LiteracyPlanet is especially practical for catering for diverse needs and varying literacy levels of students." - D. Blair. 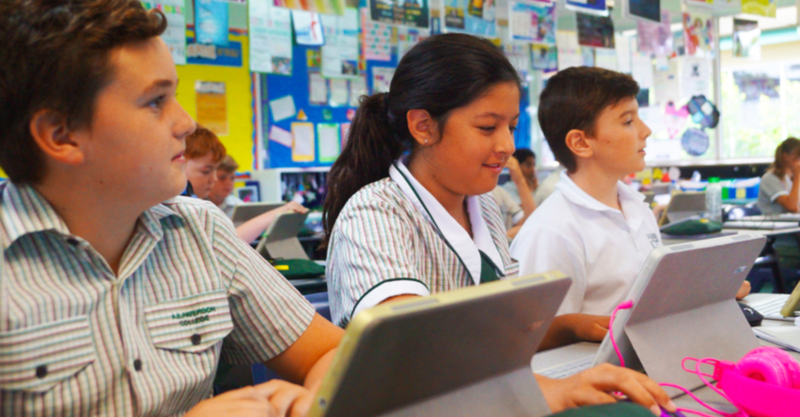 "Teachers enjoy being able to personalise LiteracyPlanet tasks to suit the needs of each student, and find it offers great opportunities to consolidate learning in a fun and engaging manner." Covers the range of phonemic skills, from letter-sound recognition to word decoding. Common sight words, Dolch words, extended lists and create games from personal lists. Hundreds of levelled extracts from a range of categories, with audio supported reading and fluency modes. Wide variety of categories and word lists, and create games from personal lists. Hundreds of levelled extracts from a range of genres. Questions to target literal, inferential and metacognitive comprehension skills. Covers all key concepts: parts of speech, vocabulary, phrases, clauses, types of sentences, punctuation, and proof reading and editing. Different text types. Lessons, templates, examples and questionnaires.